�1997/2012, Active Network. All Rights Reserved. Microsoft�s Xbox One Chief Product Officer Marc Whitten has taken to the Internet today, posting a write up on Xbox.com detailing some of the sharing features that will be available to Xbox One owners. One specific area he detailed concerns �Home Gold,� which will let Xbox Live Gold users extend some of the perks that come with that to other users in their home for free. Comment here! - 714 Comments for this story. In an application with the US Patent and Trademark Office, dated 1 August 2013, Microsoft describes �a system and related methods for inviting a potential player to participate in a multiplayer game via a user head-mounted display device�. Comment here! - 13102 Comments for this story. Microsoft this week implicitly revealed the pricing for various Xbox One accessories by making them available for pre-order from its online store. A standalone Xbox One wireless controller, wireless controller with Play and Charge Kit, a standalone Play and Charge Kit, and Chat Headset are now available to preorder. Comment here! - 126 Comments for this story. Microsoft has confirmed that DirectX 11.2 will be exclusive to Windows 8.1 and the Xbox One. With DirectX 11.2 offering some cool new features, and yet no clear technological reason for making it an exclusive, it would seem that Microsoft is attempting to tease Windows 7 and XP holdouts into upgrading to Windows 8.1. Comment here! - 1297 Comments for this story. Don Mattrick has replaced founder Mark Pincus after being personally recruited to head the ailing games company. Mattrick, part of Microsoft since 2007 and credited with leading the team that created Microsoft's Xbox and developing the product into a globally popular console, will now act as CEO - but an interesting management system leaves questions as to who is actually in charge. The 49 year-old is at least, in name, chief executive officer. However, Zynga's management structure, comprised of two tiers, means that Pincus will hold on to 61 percent of voting rights as well as claiming the chief product officer position. Comment here! - 71 Comments for this story. Microsoft has unveiled the new Xbox, and it's called Xbox One. It's Microsoft's first new console in over seven years. Yes, we've had many expectations for this console, especially since Sony and Nintendo have already taken their first steps in the next-gen landscape. Here's what you need to know that was announced at Microsoft's event in Redmond. The original Xbox debuted in the fall of 2005, which feels like a million years ago...even if it�s only seven and a half. It�s high time for a new console, even if some tech pundits are questioning the value of gaming hardware platforms in the current age. Comment here! - 103 Comments for this story. Hello and welcome to the Guardian's live blog of the Xbox reveal in Redmond, Washington. 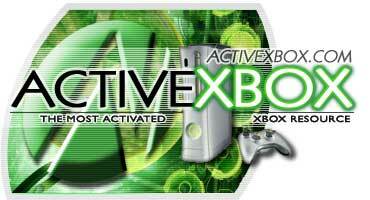 The as-yet unnamed console will be the first major revamp of the popular Xbox since Xbox 360 debuted in 2005. Microsoft's announcement comes two months after its rival Sony released some details on its forthcoming Playstation 4 console. The two systems are expected to have similar technical specifications and a key focus of today's announcement will be how Microsoft plans to differentiate itself from its competitor. One way Microsoft might be able to do this is with updates to the motion-sensing Kinect device. Kinect 2.0 is rumored to have advanced capabilities that can track four separate players and allow people to log in with facial recognition. It's possible Microsoft will save some announcements for its E3 conference in June and the company will likely keep quiet on a release date or price for the new console. Comment here! - 139 Comments for this story. Microsoft's New Xbox Girds for a Smartphone Battle . Microsoft Corp. will unveil its new Xbox on Tuesday. What's underneath the hood of the latest videogame console represents a multiyear odyssey of trying to figure out how to keep the machine "cool" in the age of smartphones and tablets. Since the last Xbox debuted in 2005, Microsoft has produced multiple prototypes for a new console and experimented with different technologies for it, said people familiar with the matter. The company has looked at streaming games from far-away servers to the latest Xbox; sending recorded videos of game exploits on the Web from the console; and including various television technologies, these people said. The video-game industry�s health meter is blinking red, and its ammo belt is nearly depleted. Industry players are crawling through the darkness, frantically looking for first-aid kits and new weapons to get back into the action. Down one path a pulsing green light beckons, promising resuscitation, new capabilities and another round of fun. The light is coming from Redmond, where on Tuesday Microsoft will �reveal� the third version of its Xbox in a high-voltage news conference that will broadcast around the world. Comment here! - 101 Comments for this story. The new gift cards will be offered in a similar way to Apple's iTunes vouchers, allowing Xbox owners to purchase true currency to be used to download content. We're told that normal cash transactions, using credit and debit cards, will also be supported. Microsoft currently offers gift cards in its retail stores, but these can only be used for purchases in brick and mortar stores. The new system will work across Microsoft's various marketplaces, including the Windows Store, Windows Phone Store, and Xbox. We understand that Microsoft is planning to unveil the system as soon as E3, with a planned launch later this year in time for the next-generation Xbox console. Comment here! - 125 Comments for this story. While much has been talked about, guessed at, and revealed about the hardware and overall setup of the new console, there hasn't been as much chit-chat about the software. Specifically, what Microsoft has in mind for the new interface and all the various Xbox features contained within. Comment here! - 145 Comments for this story. Comment here! - 115 Comments for this story. Microsoft is planning to reveal details about its new Xbox video game console at an event in May, as the games industry prepares for a new generation of hardware that it hopes will lift sales. Microsoft is currently aiming to hold the event May 21, though it was previously scheduled for April and could change again, according to a person briefed on the company�s plans, who declined to named because the plans are confidential. The Redmond, Wash., company is eager to announce the new console before E3, the big video game conference in Los Angeles beginning June 11. Comment here! - 136 Comments for this story. A small indie British film will be the first to be released solely through a gaming console. Pulp, a crime caper about the comic book industry, will be available exclusively to users of Xbox 360 from today-and, says Microsoft, using its gaming system as an exclusive film distribution pipe will not be a one-off. Comment here! - 91 Comments for this story. Henry (apparently an alias) is believed by the company to have collected information about the newest console, as well as the Durango development kit. The company had been in contact with him a month ago through its own Anti-Piracy and Confidential Information Management team, according to a report from Gizmodo.au. Microsoft wanted to know everything that he knew and how he knew it, according to an account given by Henry. A week or so after talks between Henry and Microsoft broke down, the gaming enthusiast found himself welcoming nine law enforcement agents into his home that then confiscated all the computers and hard drives they could find. Comment here! - 468 Comments for this story. We�ve been hearing that for years, and it�s getting old. In the meantime, longtime rival Microsoft has actually been building the future of TV. Its Xbox 360 may have begun its life as a gaming console, but now it�s truly come of age as a multimedia set-top box, and it�s continuing to push forward the idea of a new way to watch TV. It hasn�t come with the explosive fanfare of an Apple press event. But it�s revolutionary just the same. Comment here! - 434 Comments for this story. Microsoft didn't have a booth or even an official press event at the Consumer Electronics Show this year, but that didn't stop the company from jumping on stage twice. CEO Steve Ballmer joined Qualcomm for its bizarre opening keynote, and more importantly Microsoft�s Chief Technology Strategy Officer, Eric Rudder, joined the Samsung keynote to showcase the IllumiRoom technology. Based on a combination of a Kinect for Windows camera and a projector, IllumiRoom combines the virtual and physical worlds of a TV and living room for true augmented reality. Comment here! - 88 Comments for this story. The software maker has progressively transformed its Xbox from just a videogame machine into a multipurpose hub for entertainment delivered over the Internet. Now, the 11-year-old hardware line is facing its stiffest competition yet. The Wall street Journal reported on January 2 that Microsoft quietly bought id8 Group R2 Studios to boost its Xbox business. A few subsequent reports - none of which still has been confirmed officially by Microsoft, for what it's worth - noted that the startup, which is the brainchild of the creator of the Slingbox, has been working on mobile apps that tap into home-automation systems. Given Microsoft's mission to morph the Xbox from just a gaming console to the center of users' living rooms, the Xbox-home-automation tie-in makes sense. Comment here! - 427 Comments for this story. Did Microsoft Just Announce the Next Xbox with a Countdown? Probably. Go countdowns, saving marketing departments untold piles of cash! Microsoft�s Larry Hryb, colloquially known by his Xbox LIVE handle �Major Nelson,� just threw one up on his blog, and it�s causing precisely the sort of speculative stir the company doubtless intended. Comment here! - 150 Comments for this story.